In our new four part series Sound in Motion, we take a look at wheel-based subcultures that have had an especially important relationship to the development of musical subgenres. Our first look at how sound and motion have fed back into each other examines the history of African American roller rink communities. Wheels matter for music, and we’d like to find out how much. Earlier this week, we launched the microsite for the first part of our Sound in Motion series, “Roller Skating, Civil Rights and the Wheels Behind American Dance Music,” which you can access by clicking here. The in-depth feature originally appeared in the last issue of our print magazine and examines the significant influence that African American roller skating communities had on American dance music genres like house, Miami bass, disco, funk, and beyond. Electronic Beats Magazine Editor-in-Chief A.J. Samuels spoke with innovators like New York legend Danny Krivit, Detroit style-skating godfather Billy Butler, and footwork pioneers DJ Spinn and RP Boo to connect the regional dots of the culture’s rich history. Stay tuned for future Sound in Motion installments, including Part 2 of our Roller Skating special, skateboarding’s musical feedback loop, and a history of car audio. 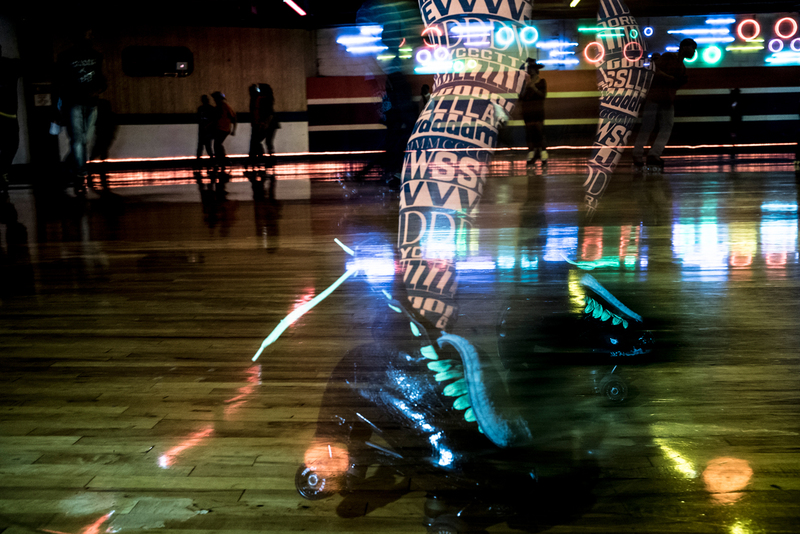 “Roller Skating, Civil Rights and the Wheels Behind Dance Music” originally appeared in the Winter 2014/2015 issue of Electronic Beats Magazine. To read more from this issue, click here, and to read our 72 Hours in Detroit microsite feature, click here.